The victory of Turkish Prime Minister Erdogan’s Justice and Development Party (AKP in Turkey) in the May 30 2014 municipal elections came as no surprise, even among the most optimistic and engaged members of the secular opposition. Simply put, few people dared to hope that a Prime Minister whose own cabinet members and family members have been exposed as hopeless greedy and corrupt would not “pull out all the stops” to ensure victory. Then, on June 11 2014, members of the terrorist army Islamic State of Iraq and Sham (“Sham” referring to what the West knows as “The Levant” or “Greater Syria) or ISIS swept into the Iraqi city of Mosul, taking hostage 49 employees of the Turkish Consulate. Mr. Erdogan has done little on the surface to secure their release and are limiting reporting on the situation in the Turkish media. For over 60 years, Turkey stood as the highly valued, staunch NATO ally on NATO’s southeastern-most flank. Its shared border with the Former Soviet Union, Iran, Iraq and Syria kept it relevant to US and European interests over the years, prompting its allies within NATO to continue supporting Turkey’s role as a key player, even as war broke out between Turkey and Greece over Cyprus, and Turkish governments were repeatedly toppled by military interventions. In essence, Turkey’s problems with Greece and its historic conflict with the Kurds and the Armenians always “took a back seat” to Turkey’s key role in NATO. This special status of Turkey in NATO has since diminished. During the 1990s, Turkey’s military became increasingly aware of diminished US and European support following the break-up of the Soviet Union. The secular Turkish establishment went to great lengths to draw NATO attention to Turkey’s continued pivotal role in Europe, first through failed attempts to keep US officials focused on the threat from Russia. When then that did not sway the US and the West in their increasing criticism of Turkey’s human rights record, the Turkish government sought to play a key role in helping resolve the conflict in Bosnia-Herzegovina. Neither concern over Russia nor even the turmoil in the former Yugoslavia were sufficient to sustain long-term, unconditional support for Turkey from its NATO allies. 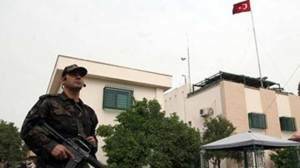 In fact, the Turkish military came under increasing pressure from the US and UK over the continued Turkish occupation of Northern Cyprus, as well as for undemocratic domestic policies regarding freedom of religion and Turkey’s Kurdish population. In fact, had it not been for Iraq’s invasion of Kuwait and the subsequent UN sanctions and “No-Fly Zone” over northern Iraq, the end of the Cold War would arguably have had an immediate impact on Turkey’s relevance to the West. As it turned out, coalition operations over Northern Iraq and the Bosnia conflict bought Turkey another 13 years of relevance to US and European security interests. The writing was on the wall, however, and the Turkish military leadership made clear that it was acutely aware of the downward spiral in military-to-military relations with its NATO allies. As fears were increasingly realized, the secular Turkish government, civilian and military, tried to offset dwindling Western support by establishing ever closer relations with a fellow pariah, Israel, in what the Turks referred to as “a bad neighbourhood”. The Turkish military relationship with Israel was useful in many ways for the Turkish secular establishment. Israel could often supply spare parts and upgrades of US equipment when the US Government blocked export of necessary items. Israel also had the latest intelligence gathering technology which Turkey required to keep its large Kurdish population in check. It also served Israel’s interests to have a true friend in the region, a friend offering the backing of Turkey’s enormous army as well as access to Turkish airspace when necessary. The US Government encouraged the Turkish-Israeli alliance. After all, the US Executive Branch was hobbled by the US Congress from exporting arms and technology to Turkey. Israel’s powerful lobby, AIPAC, was able to twist the arms of reluctant Members of Congress on Turkey’s behalf and, when that failed, Israel could directly act as a middleman to ensure the Turkish military received its required support. The US Government became increasingly vocal about the need for Turkey’s military to stay out of politics. Under the Turkish Constitution at the time, the military were the guarantors of secularism in Turkey and were empowered to step in at the first sign of religion entering politics. The US went along with global sentiment and in almost every high-level bilateral security meeting stressed the importance of Turkey’s military staying out of politics. Yet when domestic Turkish legislation that NATO considered important came up for parliamentary vote in Turkey, the US would contact the Turkish General Staff to request that they pressure the Turkish Parliament to vote as the West desired. The Turkish seemed to see this as a game being played by the US Government to keep Armenian, Greek and human rights activists at bay with a wink and a nod. It was this misplaced trust that prevented the Turkish military from stepping in to stop the growth of political Islamist leaders. In July 1996, an openly Islamist Prime Minister, Necmettin Erbakan, became Prime Minister to the shock of many inside and outside Turkey. On the day of Mr. Erbakan’s first official meeting with top US officials, he had a shadowy adviser by the name of Abdullah Gul presdent. The atmosphere in the Prime Minister’s office was jubilant among the Islamists while secular civil servants stood by in apparent shock. On the day of that first meeting, top US officials also met with Turkish military leaders. For the first time, the US made clear, in no uncertain terms, that the Turkish military could no longer count on US support unless the matter was in direct US interest. The reaction in that small meeting was emotional and explosive, with shock and even tears dominating the atmosphere. That meeting was a watershed moment in the US-Turkish military relationship and from that point on, there was no longer the sense of camaraderie and shared purpose in high-level defense relations. It should also be noted that two of of the Turkish generals in that meeting, both close friends and allies of the US, have since been imprisoned by the Erdogan government. The Chief of the Turkish General Staff told me privately at the time that, in his opinion, the trust was gone between the Turkish military and the West. His anger was palpable. There was nothing I could say: he was correct.